A collaboration with artist Lionel Smit at Guild. All photos by Berit Baugher. South Africa’s beloved port city is a world-class destination for contemporary art. CAPE TOWN - I always imagined spending my first trip to Africa perched on the edge of a seat in an old Land Rover with a pair of binoculars glued to my eyes and a ferocious lion off in the distance. Instead, I made the nearly 24-hour journey from New York City to Cape Town to immerse myself in the city’s art scene, and though I'm surprised to be saying this, I don’t think I’d go back and do it any other way. One of the best ways to get to know a new place is through the eyes of its artists, who not only document a city’s physical beauty, but have the unique ability to capture its spirit, culture, and human experience. This fall marked the opening of the continent’s first museum dedicated to contemporary African art. What took so long? Surely the world’s second most populous continent has a contemporary art scene worth seeing and celebrating. I never found a good answer to that question, but Cape Town’s Zeitz Museum of Contemporary Art Africa on the waterfront is a welcome (and necessary) institution. It's the single largest collection of its kind in the world, and looks to address controversial, contradictory, and complex issues of art, commerce, Africa, and the West. The stellar view from Table Mountain. The oldest works of art in the Ellerman House collection. Pulling into the driveway at Ellerman House, a historic Cape Edwardian-style mansion in the quiet Bantry Bay neighborhood, felt especially sweet after a full day of travel. If art interests you, there is no better place to stay than the thirteen-room family-run hotel showcasing the private art collection of owner Paul Harris, a native South African whose passion for his country is palpable the moment you meet him. Nearly 1,000 works by South African artists — spanning from the mid-18th century to current day — are on display throughout the hotel, which feels like a beautiful family home that just happens to have a museum-worthy collection of fine art on the walls. To boot: The staff is kind and attentive, the service is impeccable, and the ocean views can’t be beat. After settling into one of the contemporary-style, three-bedroom villas, I made my way to the main house for a tour of the collection with curator Margaret Gradwell. Starting with the oldest painting, which dates back to 1820, Gradwell walked me through the pieces on display, which collectively tell the difficult story of colonial South Africa and its journey to present day. 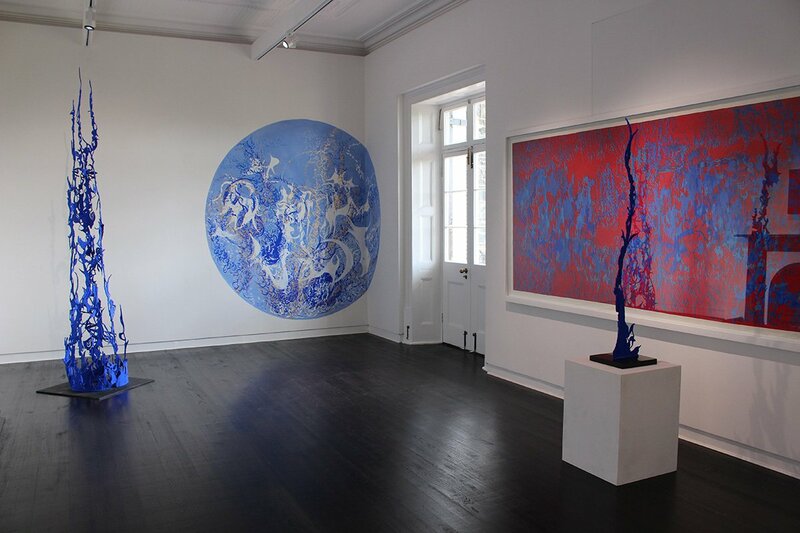 The tour ended in the hotel’s Contemporary Art Gallery and works by notable South African artists like Wayne Barker, Phillemon Hlungwani, and Angus Taylor. 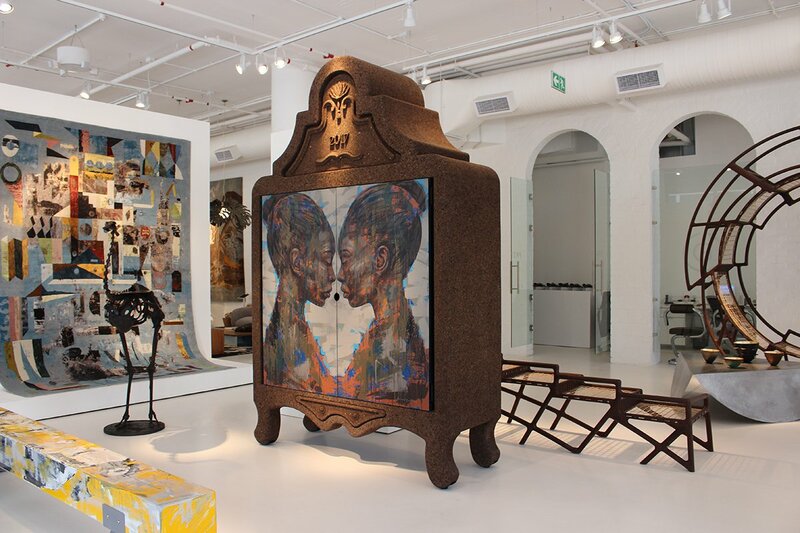 (For hotel guests wishing to take a similar tour, an art guide can be booked through Ellerman House.) A delicious dinner of South African fare followed in the hotel restaurant. 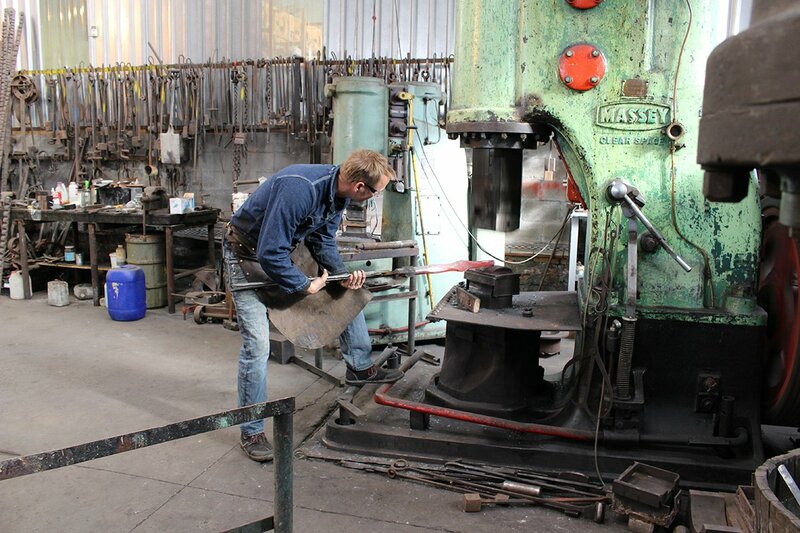 Conrad Hicks at work in his studio. 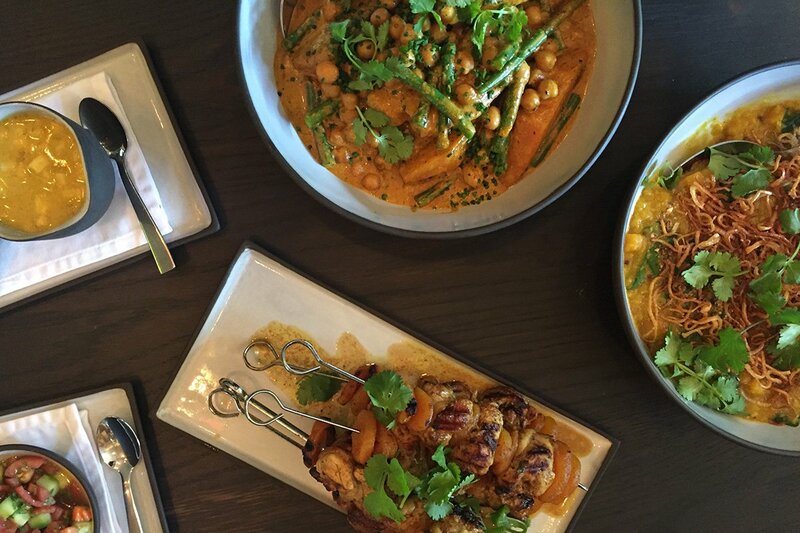 Traditional South African curry dishes. I spent the morning exploring Woodstock, a rough-around-the-edges, former factory district-turned-artsy-neighborhood with artist workshops, galleries, and indie coffee stands with Ellerman House art guide Talita Swarts. We visited the studio of self-taught master-blacksmith Conrad Hicks, who makes unique, hand-forged metalwork; and dropped by Stevenson, a gallery specializing in contemporary African art across various mediums. Ask a curator to show you around — the pieces touch on a variety of topics, including African identity and Apartheid. I made my way back to the hotel for a lunch of traditional South African curry dishes in the stunning Wine Gallery, which houses the hotel’s 7,500-strong collection of South African wines. 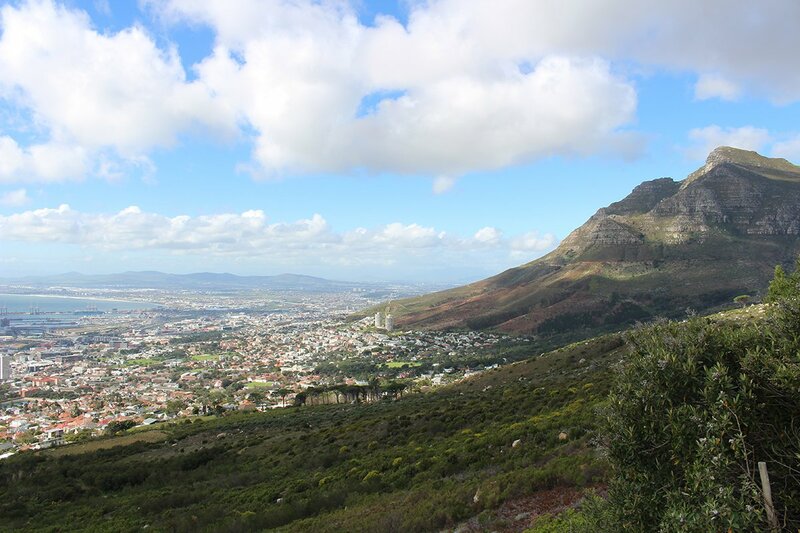 Later, I headed to Table Mountain, the iconic, hard-to-miss flat-topped mountain overlooking the city. It was too windy to take a cable car to the top, so I spent a few minutes admiring the postcard-perfect view before hopping into the car for a drive down the city’s rugged, winding coastline. With just 24-hours under my belt, I was already falling hard and fast for Cape Town. Japanese-inspired dishes at Chandler House. I was just a few weeks shy of the Zeitz MOCAA opening, so though I wasn’t able to visit the museum, I spent time exploring the surrounding V&A Waterfront. Long considered a touristy neighborhood, a number of hip new openings have graced the harborside district, including The Silo, a stylish 28-room boutique hotel, and Guild, a contemporary gallery with an amazing selection of high-end design furniture and a concept shop selling collaborations with local artists. I was tempted to buy one of everything, but settle on a pack of postcards featuring work from local artists. 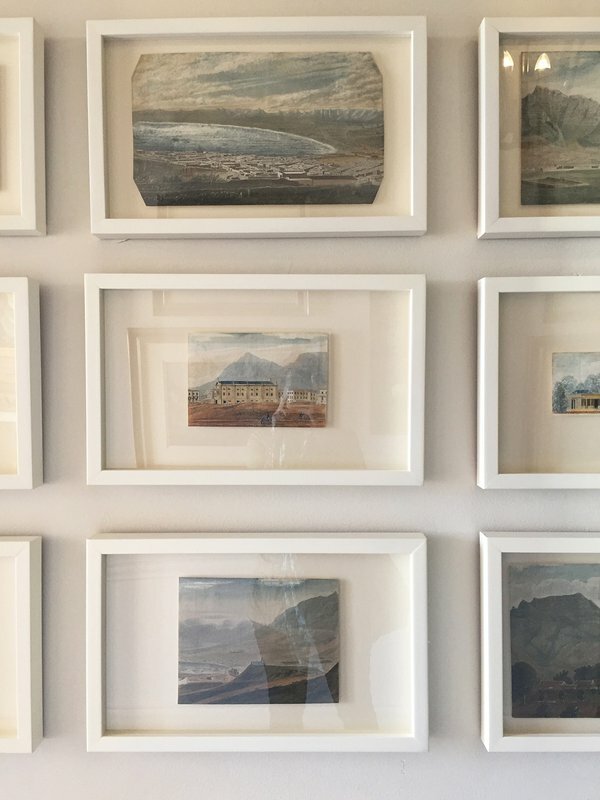 Everard Read / CIRCA, an offshoot of South Africa’s oldest gallery, exhibits modern and contemporary South African art in a charming refurbished heritage building overlooking the water. From there, I made my way to Bree Street in the city center for a long lunch at the always-buzzing Villa 47. 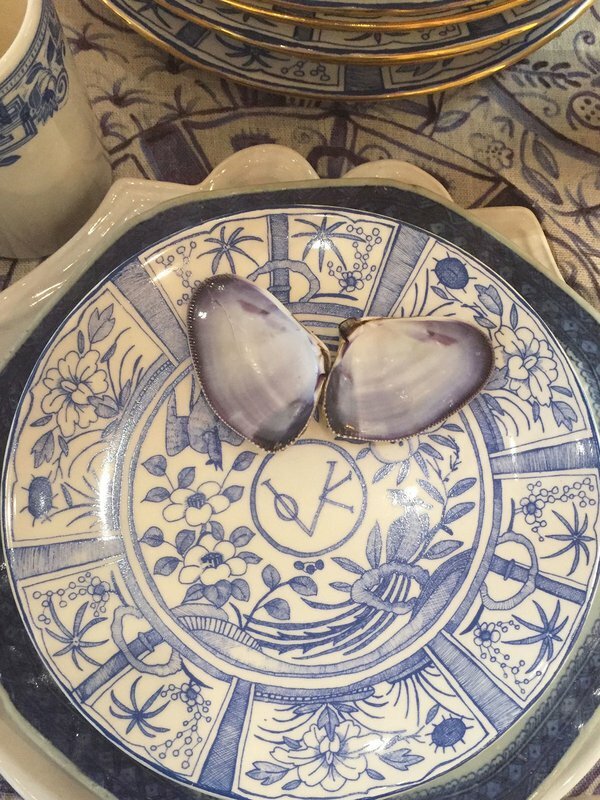 At design studio Chandler House, I couldn't resist a set of fragile Japanese-inspired ceramic dishes and ended up lugging them home in my carry-on. At Mungo, which specializes in natural fiber textiles made in South Africa, I stocked up on kitchen towels. A short (and shockingly affordable) Uber ride got me back to my hotel in fifteen minutes, where I regrouped before dinner at Mulberry & Prince, a New American restaurant in dusty pink hues with a strong Scandi vibe — it looks like it was designed for Instagram. Ready to do this? Email the Fathom Travel Desk at travel@fathomaway.com.